We have provided a link to Hobbit House for use by anyone selecting material for their door, window, or other millwork project. The use of this site was generously permitted by Mr. Paul Hinds, its owner. Here, you will find the most accurate renditions of colors and other lumber characteristics we have ever seen . 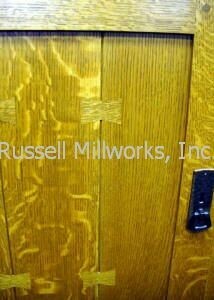 Not all materials shown are readily available or suitable for millwork use, but most are.